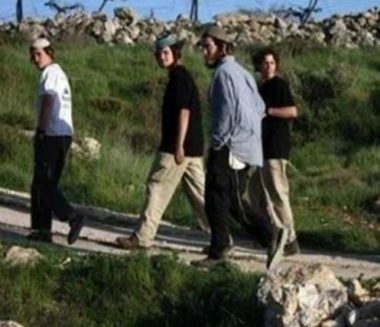 A group of illegal Israeli colonialist settlers attacked, Tuesday, an under-construction park, near the northern West Bank city of Nablus, causing damage. Ghassan Daghlas, a Palestinian Authority official who monitors Israel’s illegal colonialist activities in northern West Bank, said the assailant attacked the under-construction park, owed by Ahmad Far’uniyya. The park is on private Palestinian lands, near the main road linking between Nablus and Jenin. Daghlas said the colonists demolished parts of a room, and caused damage to furniture and equipment, before fleeing the scene.